This latest frame from the Kizer family is the perfect product for flat skating, offering middle wheel protection combined with the fast & proven Fluid material. The Slimline is designed as a lightweight, strong frame and is available in 3 different sizes. Up to 58mm wheels, all rockered down. Up to 80mm outside rockered up. Depending on the skate, adjustments like cut-outs and recesses to the soulplate are necessary. The Slimline II allows the speed of 80mm wheels while still having a low profile frame with a low center of gravity. 5th part of Lost Tapes video posted on The Conference TV. Adam Zurawiecki profile and friends. Mathias Silhan edit filmed and edited by Adam Zurawiecki (Hedonskate, Usd, Kizer). 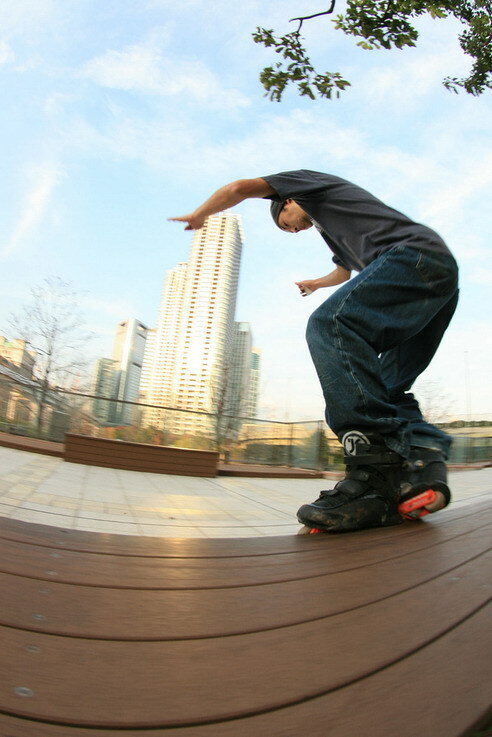 This is a photo of Sean Kelso skating on Kizer pro Model Adam Zurawiecki frame. Photo found on Sean&apos;s Myspace. I received this photo from one of ours customers. Remz Franky Morales with Kizer Fluid III pro Model Adam Zurawiecki. This is a photo of Knet&apos;s custom USD Rachard Johnson with Kizer Adam Zurawiecki pro frame which was posted on The Conference website. 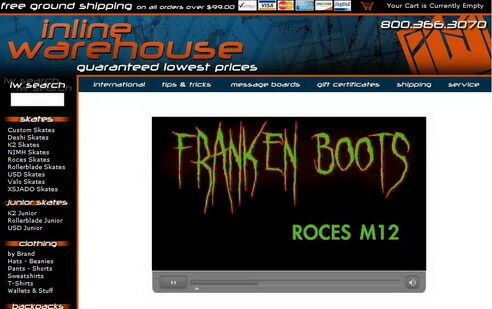 Check this video edit to see how to make Roces MJ12 Franken Boot setup. Of course guys from inlinewarehouse know which frame is the best! This photo was taken during The Game finals in Essen. On photo Adam Zurawiecki (Hedonskate, Kizer, USD) and Piotrek Combrzynski (Hedonskate, Razors, 4×4) are showing what is Better! Hey check out my new Remz Skates with Adam Zurawiecki Kizer Frame. Remeber to support pro-products of your friends if you want to see more of them! Mirek Ragan Hedonskate Owner. Jon Julio posted on Valo website nice video review of Valo pro Model Eric Bailey skates which was made by Inline Warehouse. In the end of movie there a little presentation of Kizer Fluid III pro Model Adam Zurawiecki. Click here to download this movie.